Please carefully read the following terms and conditions which govern your engagement with Academy for Organisational Change (Pty) Ltd. By accepting this proposal/agreement, you consent to be bound by and become a party to this agreement. Subject to the payment of the applicable fees (as set out in Clause 2), and subject to the terms and conditions set out herein, Academy for Organisational Change (Pty) Ltd agrees to provide to you the services as described in this engagement letter. 2.1. On acceptance of the proposal, Academy for Organisational Change (Pty) Ltd will invoice you for the agreed product/services which is payable in advance. Thereafter, where applicable invoicing will be done on a monthly basis and will include agreed upon upcoming workshops as well as completed ad-hoc items. Payment must be made to Academy for Organisational Change (Pty) Ltd before any products or services are delivered. 2.2. All products and services must be paid 30 days prior to delivery. If the product is to be supplied within 30 days of date of invoice, payment is due on presentation of invoice. Any other payment terms must be agreed to in writing. 2.3. VAT is not included in quoted fees and will be added to invoices. 2.4. Academic delegates must make payment in full before the release of pre-class work and commencement of classes, unless other payment terms have been agreed to in writing. 2.5. All costs and expenses incurred by Academy for Organisational Change (Pty) Ltd attending to any additional services which were not specifically included in the proposal including, but not limited to, travelling, extra facilitator meetings and briefing sessions, customisation and additional coaching calls will give rise to an additional fee over and above those provided for in the proposal. Such additional services shall be charged at the standard hourly rates of Academy for Organisational Change (Pty) Ltd as established from time to time and invoiced monthly. All amounts invoiced will become payable in full, without deduction or set-off no later than 7 (seven) days from date of invoice. 2.6. Academy for Organisational Change (Pty) Ltd shall be entitled, at its discretion, to charge interest at the rate equal to the prime overdraft rate, as quoted by the Standard Bank of South Africa (Pty) Ltd from time to time, plus 2% thereon on all overdue amounts. 2.7. All prices quoted in this proposal/agreement will escalate by 10% at the start of each calendar year. 2.8. Any monies paid where training and/ or workshops did not take place due to changes in client needs (e.g. date changes, reduction in delegates, etc.) will be kept in credit for one financial year only and any costs such as cancellation costs, release of pre-work/ workbooks/ e-learning/ content development/ substitution of delegates after e-learning was released will be deducted from such credit. All services and products are protected by copyright laws and international treaty provisions. Academy for Organisational Change (Pty) Ltd owns all rights, title and interest in all services and products, including all copyrights, patents, trade secret rights, trademarks and other intellectual property rights therein. Your possession, installation, or use of the services and products does not transfer to you any title to the intellectual property and you will not acquire any rights therein except as expressly set forth in this agreement. You may not rent, lease, loan, sublicense or resell the services or products of Academy for Organisational Change (Pty) Ltd. You may not permit third parties to use or in any way benefit from the use or functionality of the services or products. You may not decompile, disassemble, modify, or create derivative works based upon the services or products of Academy for Organisational Change (Pty) Ltd. in whole or in part. 6.1. All services and products hereunder is provided “as is”. Academy for Organisational Change (Pty) Ltd disclaims all warranties, either express or implied, including but not limited to implied warranties/guarantees that all services or products and documentation are fit for a particular purpose or shall enhance performance. You acknowledge that the success of all services and products is entirely dependent upon how each individual applies himself/herself to the services and products and, although it has been developed and assembled with the highest degree of skill, care and diligence, its success can in no way be guaranteed. 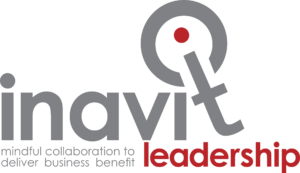 You assume responsibility for selecting the service or product to achieve your intended results, for the use of, and results obtained from the services or products of Academy for Organisational Change (Pty) Ltd.
6.2. The outcomes of all services and products depend, to a large degree, on the factors outside our control. In consequence, no statement in any report or letter is to be deemed to be in any circumstances a representation, undertaking or warranty and no claim whatsoever may be made against us if such statement proves inaccurate. 6.3. Without limiting the foregoing provisions, Academy for Organisational Change (Pty) Ltd makes no warranty that the services and products will be error-free or free from other failures. 7.1. We have not made provision for any delays in progress of any services and products which may result from your personnel, or any other resources that are sub-contracted to you, same being unavailable for participation in the agreed services and products or from the direct intervention by you to delay progress. This may result in additional costs being incurred which shall be invoiced to you in accordance with Clause 8. 7.2. We are under professional obligation not to disclose, to any third party, information that is confidential to our client. 7.3. Academy for Organisational Change (Pty) Ltd reserves the right to change the dates of all services and products as long as the date change is done 2 weeks prior to the confirmed dates and notice of such change have been given in writing. 7.4. Academy for Organisational Change (Pty) Ltd Academic department requires full payment prior to the event(s) taking place and before a delegate can commence with class. Confirmation of payment can either be faxed to 011 844 1070 or emailed to academic@worldsviewacademy.com. Should the event details change significantly delegates will have the option to transfer the booking or receive credit on their account subject to conditions in clause 2.8 above. 7.5. Academy for Organisational Change (Pty) Ltd will provide participants with the appropriate handbooks and/ or other material as applicable. 7.6. The client will provide the necessary office space (or suitable venue), parking space and administrative material as required. 7.7. 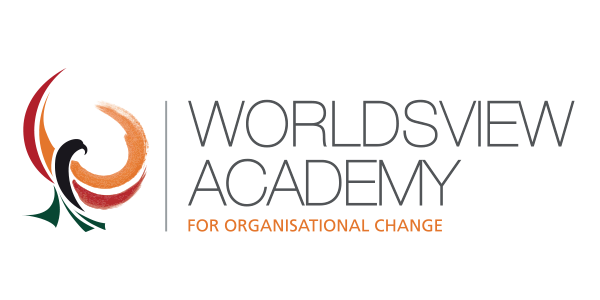 If the client wishes to use the facilities and training rooms at Academy for Organisational Change (Pty) Ltd this will be quoted for separately. 7.8. Recommendations are made in good faith and on the basis of information available at the time. We accept no responsibility or liability for such recommendations. 8.1. The cancellation policy applies immediately on acceptance of the proposal or registration agreement. The term ‘cancellation’ includes full cancellation, date changes, delays and reduction of delegates. 8.2. A cancellation fee of 50% will be charged for cancellations up to 20 working days before the scheduled programme starts unless materials have been delivered. No refunds will be made for cancellations inside of 20 working days before the scheduled programme date or after materials have been delivered and the full fee will accordingly be forfeited. If payment has not been made the client will be liable for the full fee. 8.3. If the client requests to change the agreed upon roll-out dates within 20 working days of the agreed upon date, a 50% cancellation fee will be charged for the original and the full fee for the new date as well as travel expenses should they have been incurred. 8.4. All cancellations and date change requests must be made in writing. 8.5. Registered delegates for Academy for Organisational Change (Pty) Ltd academic programmes, who wish to defer to another course or date, will be liable for the administration fees as per the Student Handbook. The terms and provisions of this Agreement may not be modified or varied unless done in writing and signed by both the parties. This Agreement is governed by the laws of the Republic of South Africa.